Recently we learned how to configure Extension Mobility, now lets troubleshoot EM issues. 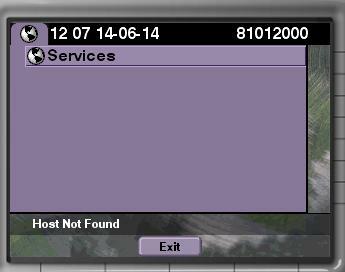 Issues :- When you click on Services, it says Host Not Found. Go to System > Enterprise Parameters. Check the URL services, and if it is set to the CallManager Server name, replace the CallManager Server name with the IP address. 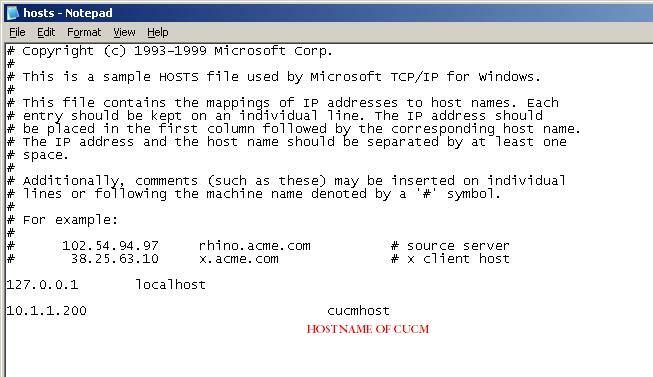 If you are using Cisco IP Communicator and your URL Service is added as a Hostname, then try to add the entry in your Hosts File on your windows. File location is — C:WINDOWSsystem32driversetc and file name is Hosts and save it. If you are using Cisco IP Communicator and your URL Service is added as IP rather than Hostname, then check your phone settings. You can check this by Pressing Settings Button and then Device Configuration on your Phone. If the list is blank then it looks like you phone is not able to download the CNF file properly. As you could see above the Service URL is blank, try to download the SEPXXXXXXXXXXXX.cnf.xml file from the TFTP Server and see what is the URL added in the Configuration File that the IP Phone is having? As you could see that we are unable to download the configuration file from the server, try to disable the Firewall/Antivirus and check. Once the file is downloaded, edit the file in notepad and check the URL Services added as a Host or IP? If the above steps also does not work, try to restart the Cisco Extension Mobility Service and see if that resolves the issue? Solution : – Ensure that the PIN user is trying to enter is correct. If possible, try to reset the PIN in the end user and then try to login. Solution : – Go to End User and check for the User ID and see if the Device Profile is properly associated to the End User. 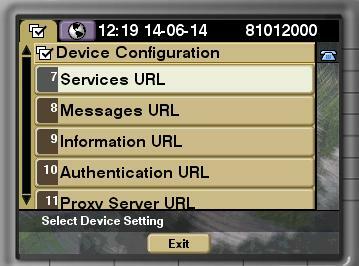 Solution : – Go to the Base Phone Configuration on which the user is trying to login. Check Mark “Enable Extension Mobility” and click on Save and Then Apply and then Reset the IP Phone.